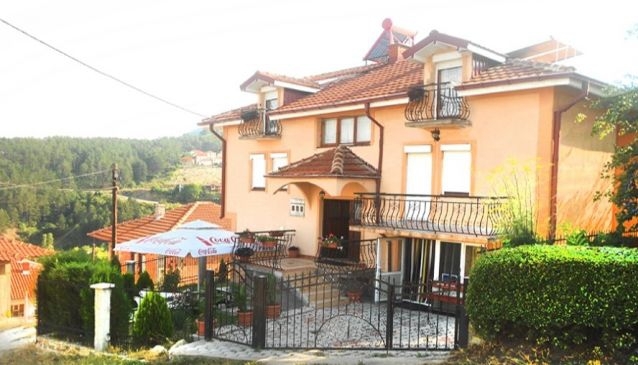 With its cosy and warm ambience Villa Gora is attractive to tourists and families who want a peaceful and tranquil place where they can relax but still explore the beauties of Krusevo and its surrounding. The guest house features two double-bed studios, one three/four-bed apartment, two five-bed apartments and one six-bed apartments as they are fully equipped with kitchen, cable TV, wireless internet as well as central heating and bathroom. The apartments own lovely terraces that overlook the beautiful pinewood and clear sky. The friendly staff will welcome you with warm hospitality and will make your stay pleasant and comfortable like you are at home. The town of Krusevo offers many valuable monuments and localities in its area and Villa Papu is within easy access to all of them.